The Scientific Program for IMW are currently still under development. We will have more detail and definition for these in early Spring 2019. One of the oldest cities in the United States, Boston was founded in 1630 and was the scene of many key events of the American Revolution. Upon American independence, the city became an important port and manufacturing hub, as well as a center for education and culture. 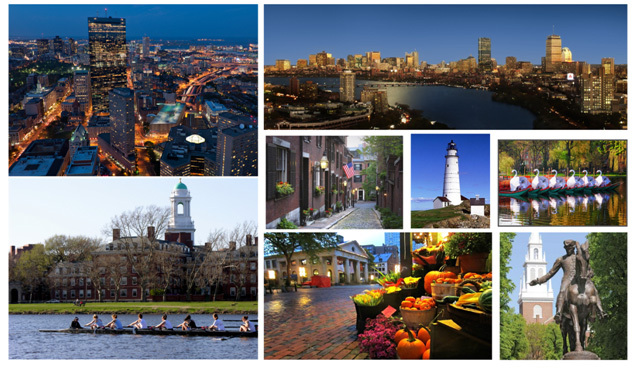 Today with over 120 colleges and universities, many of the world’s finest University Hospitals including the top five National Institutes of Health-funded hospitals, and 600 biotechnology and pharmaceutical companies, Boston is considered a world leader for higher education and medicine and an ideal setting to host the 17th International Myeloma Workshop. 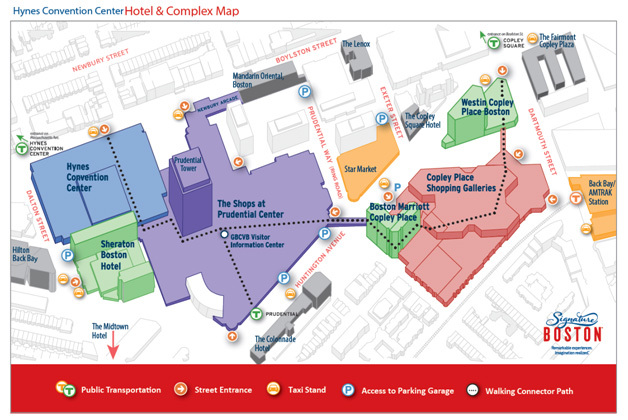 While at the Hynes Convention Center, attendees will find themselves surrounded by outstanding shopping, restaurants, museums, tours, landmarks, and activities. 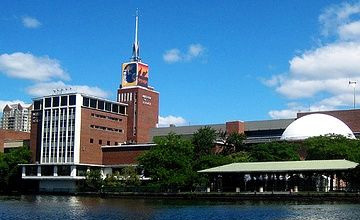 Connected to the HCC, attendees will find the Prudential Center, which under its atrium inspired glass topped domes are fine shops, restaurants, book stores, and a food mall. As well, some of the best views of Boston can be taken in from the Skywalk Observatory in the Prudential Center. Within walking distance of the HCC, many cultural options are also present including the Boston Symphony Orchestra, the Boston Public Library, the Museum of Fine Arts, the Isabella Stewart Gardner Museum, the Museum of Science and Fenway Park, home of the Boston Red Sox. For attendees looking to spend some time outdoors, a short walk to the Boston Public Garden with its the famous Swan Boats or a “Duck Tour” on amphibious vessels that visit the historic Boston sites followed by a plunge and sail down the Charles River is available close to the HCC. And if you have some extra time, it is worth the short trip across the Charles River to take a tour of Harvard Square, and pay a visit to MIT. 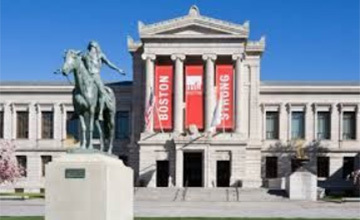 The Opening Ceremonies of the 17th International Myeloma Workshop will be held at one of the world's largest science centers and Boston's most attended cultural institutions. Be sure to attend this exclusive, private event featuring access to all of the exhibits of the Museum of Science, Boston. The Opening Ceremonies of the 17th International Myeloma Workshop will be held at one of the most comprehensive art museums in the world. The MFA collection encompasses nearly 500,000 works of art and allows more than one million visitors each year to experience art from ancient Egyptian to contemporary, special exhibitions, and innovative educational programs. Join us for this Black Tie Event with exclusive, private access to all of the MFA. The online call for abstracts for the 17th International Myeloma Workshop is now open. Authors may make changes to the abstract until the submission deadline. No changes will be accepted after the submission deadline. All accepted abstract presenters must be registered for the IMW prior to presentation. IMS will be offering Awards for Exemplary Abstracts. Find out if you qualify. The deadline for abstract submissions is Friday, May 31, 2019 at 11:59 p.m. ET., with notifications by Friday, June 28, 2019. Abstracts for research with late breaking results will be considered until Friday, July 19, 2019 at 11:59 p.m. ET, with notifications by Thursday, August 1, 2019. Online registration for the 17th International Myeloma Workshop is now open. You must be an IMS member at the time of registration to receive the member rate. Applicants approved for membership after registering for the meeting will not be refunded the difference between the member and non-member rates. Attendees who register after June 30, 2019, 11:59 pm ET (GMT-5) will be charged the late registration fee. Badge/meeting materials pick-up and onsite registration will begin on Wednesday, September 11 at 2:00 p.m. local time. Registration fees can be paid by credit card (MasterCard, Visa, and American Express) only. Checks and wire transfers will not be accepted. Registrations will not be processed or confirmed until full payment is received. Please note all transactions will appear on your credit card statement as J. Spargo & Associates. To avoid long lines at the onsite registration counter, we encourage you to register online for the meeting in advance. Wednesday, September 11 2:00 p.m. – 8:00 p.m.
Thursday, September 12-Saturday, September 14 6:30 a.m. – 5:00 p.m.
Thursday, September 12 6:30 a.m. – 5:00 p.m. If you are interested in registering a group, please contact the IMW Registration Center at imwregistration@spargoinc.com. Spouses and guests are welcome to register for the IMW. Spouses and guests will receive a badge that allows access to the exhibition area including coffee breaks and lunch, and the welcome and closing receptions. This registration rate does not include entrance to scientific sessions and does not include meeting materials. Badges and meeting materials will be given onsite at the counters in the registration area. Remember to bring a copy of your registration confirmation email. To receive another copy of the confirmation email, please email imwregistration@spargoinc.com. Registration cancellations must be submitted in writing to the IMW Registration Center by August 13, 2019 to receive a refund less $150 processing fee. All requests must include a brief description of the reason for cancelling. Refunds will not be granted after August 13, 2019. Refunds will appear as a credit on the credit card account within four weeks. Online hotel reservations are now being accepted for the 17th International Myeloma Workshop. The 17th International Myeloma Workshop will be held at the Hynes Convention Center. The IMW Congress Organizer has reserved rooms for IMW participants at hotels at and/or near the meeting destination. Hotel room reservations will be accepted on a first-come, first-serve basis until August 25, 2019. After this date, reservation requests will be subject to availability and cannot be guaranteed. IMW is partnering with SPARGO, Inc., the exclusive and official housing provider for the 2019 Workshop. You may be contacted by companies that will offer to assist you in booking housing for the conference. IMW does not endorse booking hotel reservations via sources other than SPARGO, Inc. Single: A single occupancy room with one bed. Double: A double occupancy room with one bed. Double/Double: A double occupancy room with two beds. ***The above rates do not include applicable taxes. If you make a hotel reservation online or by phone, you will receive a confirmation email instantly. If you do not receive your hotel reservation confirmation email, please first check your email spam filter before calling the IMW Housing Center. To cancel or change a hotel reservation online, you will need your confirmation number and the email address used to make the reservation. Online requests are acknowledged with an immediate email confirmation. You may cancel or make changes to your hotel reservation either in writing or online until 5:00 pm EST on August 25, 2019. To avoid costly penalties, all hotel reservations must be cancelled 2 weeks (14 days) prior to arrival. If cancelled within 2 weeks (14 days) of arrival, a cancellation fee equal to the value of your entire stay (all night's previously booked) including tax will be charged to the credit card on file. Written cancellation requests should be sent to the IMW Housing Center. Cancellation requests will be acknowledged and confirmation will be issued within five business days. After August 25, 2019, all changes to accommodations must be made directly through your hotel. Between Monday, August 26th and Tuesday, August 27th, housing records will be transferred from the IMW Housing Center to the individual hotels; therefore, delegates are strongly encouraged to wait until after Wednesday, August 28th to contact the hotels directly to make changes or cancellations. This hotels cancellation policies will be strictly enforced. Please retain the cancellation confirmation from the IMW Housing Center or the cancellation number provided to you by the hotel, as proof of cancellation will be required to resolve any credit card disputes. A group room block is defined as five or more rooms. Please contact imwhousing@spargoinc.com to request a group room block. The 4th nursing symposium will be held in conjunction with the 17th International Myeloma Workshop in Boston, Massachusetts on September 13, 2019. The audience for the live conference is nurse practitioners, physician assistants, clinical nurse specialists, advanced degree nurses, hematology/oncology nurses, pharmacists, and physicians. In particular, the educational symposia will include didactic, interactive, evidence-based, and fair-balanced content targeted to the supportive care of the patient with multiple myeloma. A particular focus will be placed in the role of immunotherapies, unique considerations with the delivery of new drugs and management of side effects, and the use of patient reported outcomes in our understanding of quality of life. There will be a variety of educational formats conducive to interaction and includes live oral presentations with Q&A sessions. Nurses will be able to disseminate the latest nursing research in the field of myeloma with the best-selected abstracts presented live in a plenary session and also in poster format within the main program. View More Info Submit your abstract here. The deadline for abstract submissions is Friday, May 31, 2019 at 11:59 p.m. ET. Notifications will be made by Friday, June 28, 2019. The 17th International Myeloma Workshop exhibition will showcase a range of services and solutions for the multiple myeloma field of treatment and care. Exploring the IMW exhibition provides not only the opportunity to meet with key exhibitors, but it also provides an excellent opportunity to network with friends and colleagues. For those interested in becoming a sponsor or exhibiting, please contact Sue Deveaux, VP, Healthcare Expositions SPARGO, Inc. at Sue.deveaux@spargoinc.com. The IMW presents a prime opportunity for affiliates of IMW – exhibitors, corporate supporters, patient groups, and nonprofit organizations – to hold meetings and events in connection with the four-day workshop. IMW encourages affiliates to take advantage of this opportunity and has established a set of guidelines to be followed when planning and hosting ancillary meetings. All ancillary meetings held in conjunction with the workshop, from Wednesday, September 11, 2019 through Sunday, September 15, 2019 must adhere to these guidelines, regardless of the meeting location.